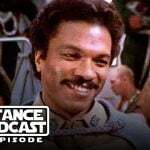 The post The Resistance Broadcast – Billy Dee Williams Rumored to Maybe Definitely Return in Episode IX appeared first on Star Wars News Net. THE SITH LIST EPISODE 101 – Ant-Man & Wasp review, Lando is back, and we have a new Joker! Did Harrison Ford Reveal a Big Spoiler About a Certain Scene in The Force Awakens? Check out this Star Wars Galactic Atlas book trailer with Rogue One content!